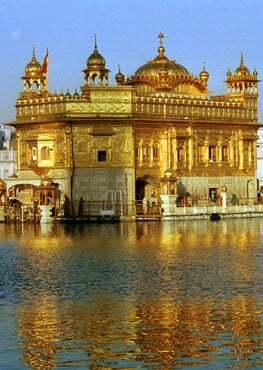 And, about four miles from the holy city in village Vallah stands a magnificent edifice - Gurudwara Guru ka Kotha meaning Guru's house. With the support of Sikh Heritage Foundation and Sikh Foundation a long demanding 'Sikh Heritage Gallery' will be opened at Santa Barbara Museum of Natural History in California. As Nidar Singh Nihang puts it, this book gives an alternative view on our history. 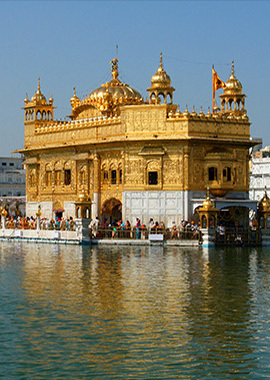 The Golden Temple glows in richness and colour. That richness has, over the years, been constantly renewed. Gurdwara Sikh Spiritual Center held a special ceremony for the Sikh congregation of GTA to have a glimpse of “Ganga Sagar"
Heritage Body Calls for Government Action to Preserve Historical Treasure.